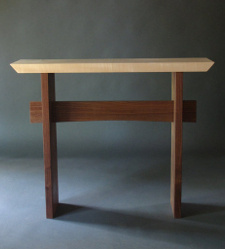 Our Statement Tables are a collection of fine furniture for your narrow hallway tables, entry console tables, narrow side tables or accent tables for small spaces. The beautiful contrasting wood furniture colors add fresh modern styling. The light maple table top is created from Tiger Maple that features stunning ripples of light in the wood grain. 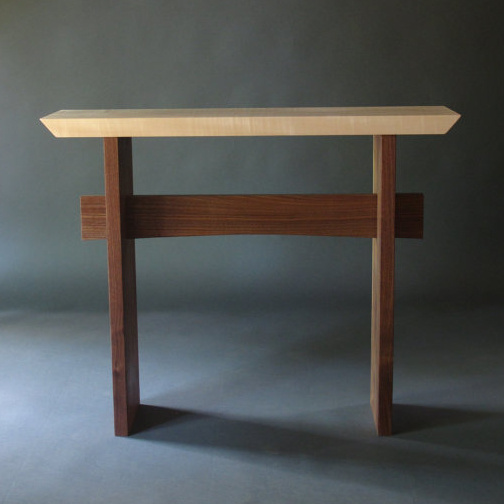 The gentle curve of the table stretcher is elegant and the option for a live edge table stretcher let's you create a one of a kind table that connects nature to your interior design. Ordering your custom Statement table is as easy as 1 - 2 - 3! 1. Select the range of size that fits your custom measurement specifics. 2. Select your wood color/combination. Choose one of our popular combinations such as Tiger Maple with Walnut or Tiger Maple with Cherry. 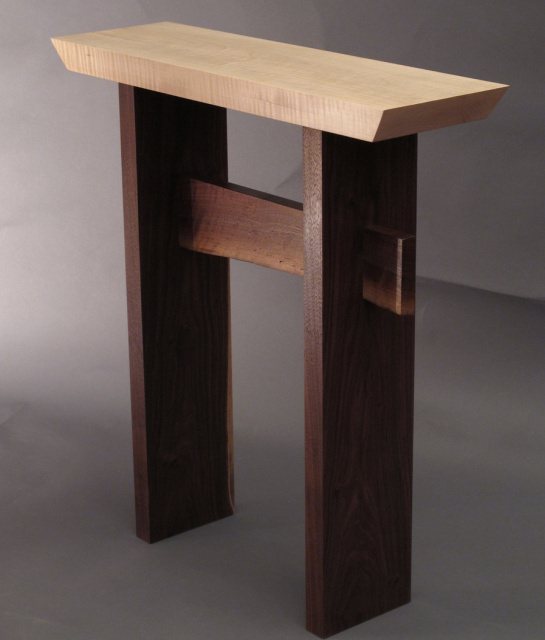 Add a live edge table stretcher for a unique, one-of-a-kind, artistic wood table. 3. Enter your custom measurements. When we receive your order, we personally send you an email confirming the measurements you have specified. You can be sure we will know the right size before a single board is ever cut. 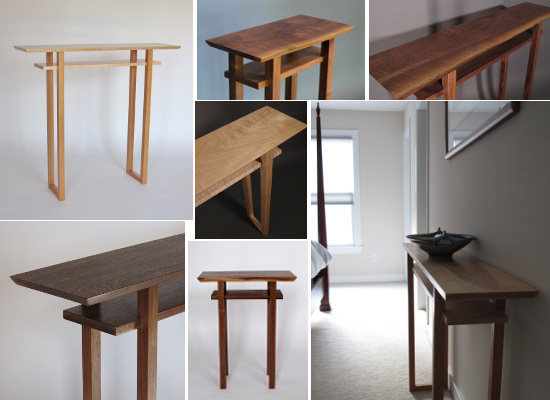 Check out our other popular table designs available for easy Custom Ordering!